The French company that iRobot Corp. bought in October posted profits of $23 million on revenue of $151.5 million during 2016, according to a Friday filing with the U.S. Securities and Exchange Commission. Massachusetts-based iRobot (Nasdaq: IRBT) reported the financials in an amendment to October filings related to its acquisition of Robopolis SAS. iRobot bought Robopolis, its largest European distributor, for $141 million. Robopolis’ financials reveal a healthy growth trend. In 2015, it posted a profit of $16.4 million on revenue of $123.8 million, the filing shows. 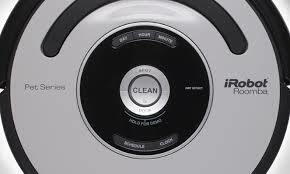 iRobot is best known for its Roomba home vacuum cleaner. It has sold more than 20 million of the devices since launching them in 2002. The Robopolis deal was first announced last July. The French company represented nearly half of iRobot’s 2016 revenue in Europe, the Middle East and Africa. “As iRobot expands globally, we are excited about the current and future opportunities in Europe,” CEO Colin Angle said in October. iRobot, which was founded in 1990, employed 607 workers in late 2016. Last year, it reported a profit of $41.9 million on revenue of $660.6 million. The company increased it focus on consumer products with the divestiture of its defense and security business in 2016. However, shares have slumped 24 percent during the last six months as investors react to competition from SharkNinja Operating LLC. The company that is also based in suburban Boston markets an ION Robot that cleans floors and carpets and recharges automatically at a comparable price to the Roomba.